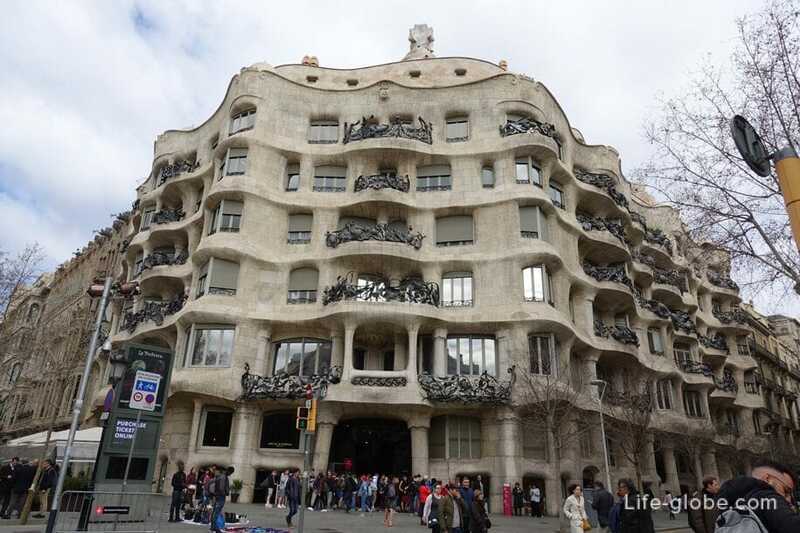 Casa Mila is the perfect lines and luxury is one of the finest and most memorable creations of architect Antonio Gaudi, which incorporates the complexity and angularity of nature. 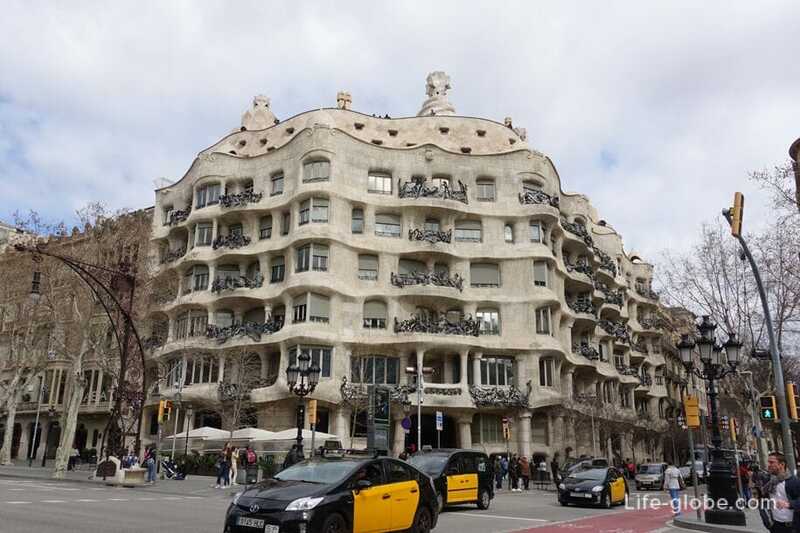 Because of its unusual appearance, resembling a quarry, Casa Mila also known as La Pedrera. Endless curve, billowing waves covered facade of ordinary limestone, is difficult with something confused. And the twists and turns of the balcony and lack of straight lines make the house look like a natural phenomenon. This is not surprising, because Antonio Gaudi drew inspiration from organic forms, using the "world of nature" to create their own objects and almost completely eliminating straight lines and sharp corners. Anyway, in the works of Gaudi are almost no straight lines. La Pedrera was built between 1906 and 1912 years by the architect Antoni Gaudi and declared a UNESCO world heritage site in 1984. The style house has more to modernism than to modernism. Casa Mila was the last work of Gaudi before he devoted himself entirely to the work on the temple Sagrada família. 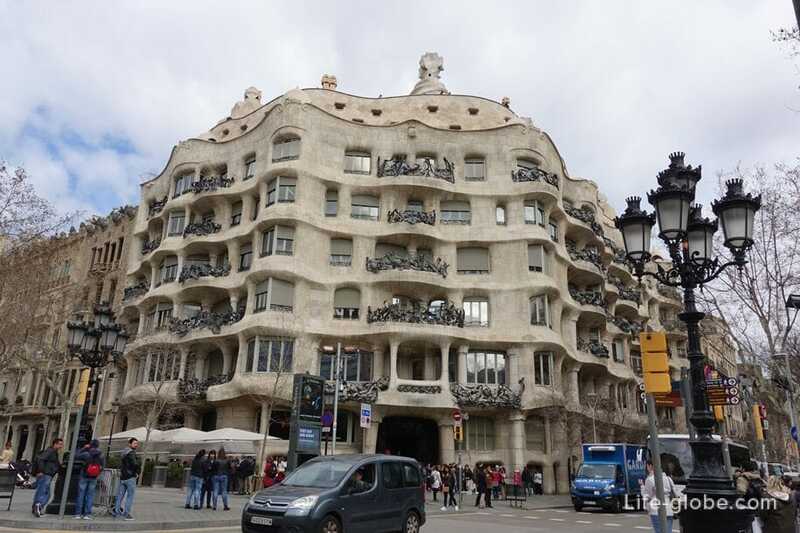 Personally for us, all creations of Gaudi in Barcelona, including La Pedrera, made a lasting impression, after which we joined the ranks of fans of Antoni Gaudí. Beautifully described La Pedrera, and many other objects of the Barcelona of Gaudi, in the Dan Brown novel "the Origin". Nice find on the pages of a book one of your favorite writers mention about the objects and the life of one of my favorite architects. In the house of Mila tours. There are day and night tours. 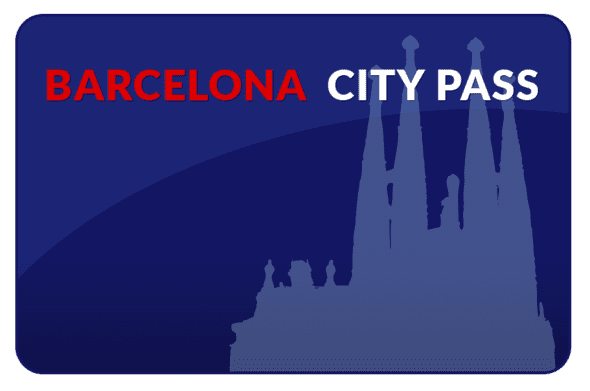 Tickets can be purchased online at the official website or at the box office La Pedrera. 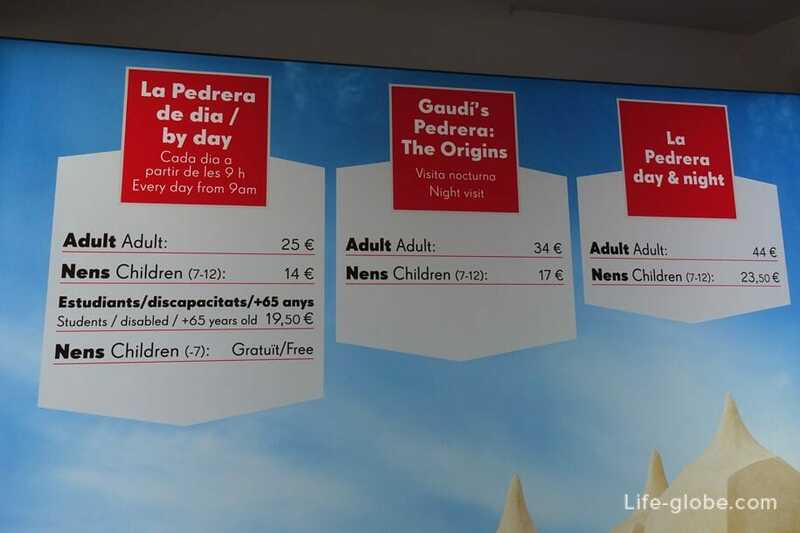 The cost of a ticket for a visit to Casa Mila online is 22 Euros, in cash, EUR 25. The house is open for visits daily from 9:00 to 20:30 and 21:00 to 22:00 hours (holidays may be closed or shortened opening hours). You can also buy premium tickets for the evening show or ticket day + night. Casa Mila is 500 metres from Casa Batlló and just over a kilometre from Plaza Catalunya address: Passeig de Gràcia, 92, 08008 Barcelona, Spain. The convenient location allows you to visit two masterpieces of Gaudi (Casa Mila and Casa Batllo). From Plaza Catalunya, Casa Batlló should go down the street of Paso de Gracia, never deviating, and the right side, at the corner of streets Passeig de Gràcia and Provença, you will see the Casa Mila. How to get there. Buses: V15, V17, H10, H8, 7, 22, 24, 6, 33, 34. Metro: lines L3 and L5. Train: RENFE station Passeig de Gràcia. FGC Proventsa La Pedrera.